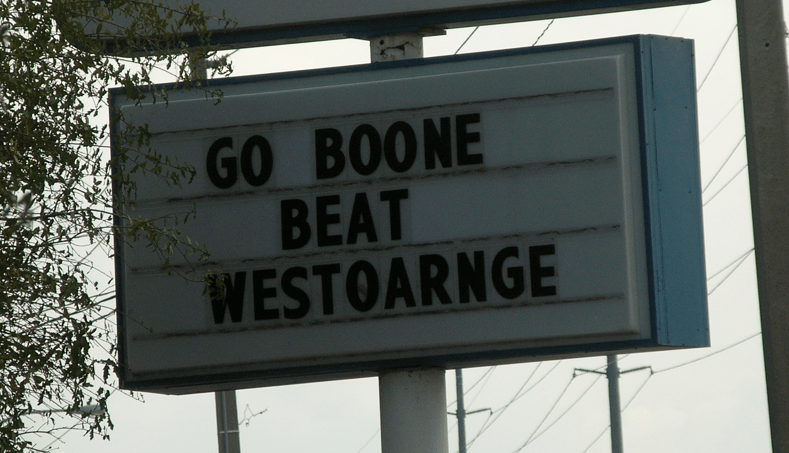 I definitely know who Boone is, but I’m a little fuzzy about West Oarnge. Are they one of the schools in the Central Florida area? Anyone? Next Did you know these were here? @Erin Actually, the ironic–or maybe “funny”–thing about this is…the sign is at a local business!